The Galaxy Tab A2 XL isn't as high profile as the Galaxy Tab S4, Samsung's upcoming top-tier tablet, but it will probably sell just as many units. Although we don't know yet how much it will cost, we do know that it's an entry-level slate with a more than decent display. The tablet will be available in both Wi-Fi-only and LTE-enabled versions, the former being the cheapest one. 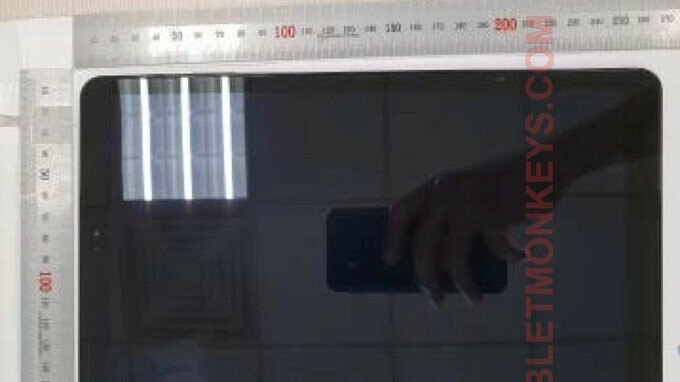 As far as the specs go, the Galaxy Tab A2 XL is expected to feature a large 10.5-inch display with 1920 x 1200 pixels resolution. Under the hood, Samsung's upcoming tablet will include an octa-core Qualcomm Snapdragon 450 processor, 3GB RAM, and 32GB expandable storage. Also, the back side will feature an 8-megapixel photo snapper, while the front side will accommodate a secondary 5-megapixel selfie shooter. The massive 7,300 mAh battery will feature fast charging support, which will considerably shrink the time needed to fully recharge it. Of course, the Galaxy Tab A2 XL will run Android 8.1 Oreo, but it will not come with a physical Home button or fingerprint scanner. It's yet unclear whether the tablet will be unveiled on August 9 along with the Galaxy Note 9 and Galaxy Tab S4, or Samsung will wait until early September to showcase it at IFA 2018 trade fair. Decent specs, now let's see what the price is. Hopefully it has pen support too. It will not support Wacoms. Price would have to be really low, like super low, 150-200$ top. Those specs are really low to compete with anything with Snap 6xx.